Are Diabetes and Snoring Connected? For years, most of us have believed that the disturbing sound of snoring is simply a bedroom nuisance that’s jokingly dismissed. Today, numerous medical studies have shown a link between snoring and a number of serious medical conditions such as obstructive sleep apnea, high blood pressure, heart attack, stroke, and even diabetes mellitus. It’s estimated that there are more than 29 million Americans who are living with diabetes and as many as 25% are unaware of their condition. This equates to nearly one in ten people in the US having diabetes. 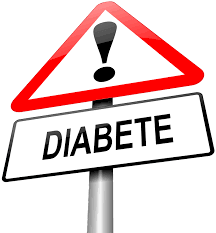 Even more alarming, an estimated 86 million adults over the age of 20 are prediabetic, meaning that they have elevated levels of sugar and are not yet diabetic but very likely to become diabetic. Diabetes occurs when there is an excess of sugar in the blood which is caused by the body not producing enough insulin. When you eat, your body converts foods to sugars which are used for energy. In order to process this sugar, your pancreas releases insulin which acts as a key to unlock cells which allow the sugar to enter. If your body does not produce enough insulin, the amount of glucose entering the cells will be impaired and elevated levels of sugar will appear. There are two type of diabetes – type 1 and type 2. Type 2 diabetes is the most common and is usually onset around the age of 35 or later, although it’s becoming more common in younger adults and even children. With type 2 diabetes, your body produces insulin but not enough, resulting in elevated blood glucose levels. Most people with type 2 diabetes are overweight and not physically active. Type 2 diabetes can often be successfully treated by changing eating habits and increasing exercise, resulting in weight loss which reduces insulin resistance and puts less of a strain on the pancreas. Aside from adopting a healthier lifestyle, type 2 diabetes may also be treated with medication and in extreme cases, insulin injections may be necessary. Type 1 diabetes is not nearly as common as type 2 yet is a more serious form of diabetes. This type of diabetes is often referred to as “juvenile” diabetes because it’s typically discovered at a very young age although it can occur later in life. Type 1 diabetes is considered an autoimmune disease because the body attacks the pancreas as it tries to produce insulin. Unfortunately, there is not a lot known about why this occurs. Since type 1 diabetes is an autoimmune disease, changing one’s diet and exercise habits alone usually does not resolve the issue. Daily insulin injections are often necessary. The amount of insulin needed will depend on diet and exercise levels as well as stress and emotional health. Most of us are quite familiar with the sound of snoring but what many of us don’t know is exactly what snoring is and where the sound of snoring originates from. While there are several areas in which snoring may occur, the most common area is in the airway. 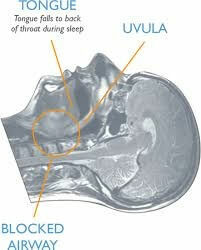 While awake, our soft palate and uvula are rigid and don’t move around much. While asleep, the uvula, soft palate and other muscles surrounding the airway relax and become floppy. The loss of tone becomes more common as we age and put on extra weight. The airway can become even more relaxed if alcohol or sedatives are consumed prior to going to bed. Those who sleep on their backs increase the likelihood of snoring as gravity causes fat in the neck area to place further pressure on the airway. As a result of one or a combination of all these factors, the airway becomes restricted. Imagine air traveling past a restricted airway. When this occurs, these tissues begin to vibrate and flap against each other. The flapping and vibrations that are produced create the sound of snoring. The snoring sound typically originates in the most narrow part of the airway, just below the tongue. You may be wondering how two completely unique conditions, which on the surface appear to be unrelated, have anything to do with each other. Is it possible that snoring causes diabetes or perhaps diabetes causes snoring? Interestingly enough, recent medical research has found at least a couple links between these two conditions. In one recent study conducted by the American Journal of Epidemiology, it was found that regular snorers were twice as likely to develop diabetes while even occasional snorers were nearly 50% more likely to end up with diabetes. Exactly how are these two conditions related? Heavy snoring can affect your quality of sleep, this is especially true if you have Obstructive Sleep Apnea (OSA), a condition that is strongly related to snoring and is characterized by pauses in breathing throughout the night. Even snoring by itself can prevent you from getting a good night’s sleep and may even prevent your bed partner from getting quality sleep. One of the issues with not getting enough quality sleep is that you spend the day tired and often rely on unhealthy food to keep you going throughout the day. It’s been suggested that those who snore often eat twice as much food as non-snorers. Caffeine, whether in the form of coffee, soft drinks, or energy drinks, typically contains sugar and lots of it. In addition to caffeine and other stimulants, many turn to sugary processed foods to receive a burst of energy. Both sugary drinks and sugary foods place a strain on the pancreas as it tries to keep up with producing enough insulin to process all of the sugar. In addition, those who consume junk food throughout the day often tend to carry extra weight. 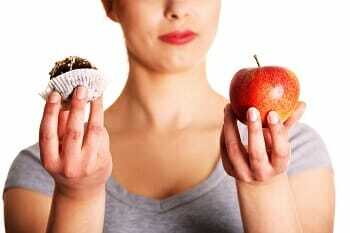 Add stress to the equation and you have a recipe for type 2 diabetes. A more scientific explanation has to do with insulin resistance caused by the release of cortisol and catecholamine while asleep. As discussed, snoring is the result of loose tissue flapping around a restricted airway. When breathing is restricted during sleep, blood oxygen levels are often reduced and the body will release the stress hormone cortisol and catecholamine which increases blood sugar levels. Over time, the constant release of cortisol will cause insulin resistance which will ultimately cause type two diabetes. To prevent snoring related diabetes, start with changing diet and exercise. If the idea of diabetes caused by snoring is a concern, as a snorer, you will be glad to know that there’s something that you can do to prevent your snoring from causing type 2 diabetes. First, you will need to determine if your snoring is related to OSA which is a more serious related condition that should be treated by a physician, often requiring the use of CPAP therapy or the use of an oral appliance. If you exhibit any signs of Sleep Apnea such as daytime tiredness, breathing pauses during sleep, morning headaches, difficulty concentrating, or falling asleep during inappropriate times such as during work or while driving in the car, you will want to speak with your doctor who can determine if further testing is warranted. Reducing your risk of developing type 2 diabetes is often easily accomplished by eating healthier foods and getting at least 30 minutes of physical activity per day. If you need to lose weight rapidly, consider increasing the intensity and number of minutes that you work out. While increasing physical activity is a great place to start, you will also need to make adjustments to your diet, especially if you are overweight. Reduce and gradually eliminate sugary drinks, processed foods, foods high in fat, carbohydrates (especially enriched bread), foods with preservatives, and reduce the number of calories consumed each day. In addition, you may want to consider using a snoring mouthpiece. These small devices fit inside of the mouth and help to prevent airway resistance. You can read more about snoring mouthpieces here. Next post: Anti-Snoring Pills and Tablets – Does This Homeopathic Cure Really Work? 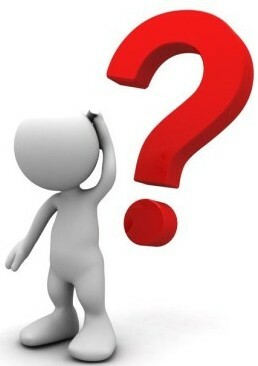 Previous post: Snoring Mouthpiece Vs Snoring Chinstrap -Which One Is Better?